Eddy Kamuanga Ilunga, Untitled, 2019, Acrylic and oil on canvas, 200 x 200 cm, Courtesy October Gallery. The leading international art fair dedicated to amplifying contemporary art from diverse African perspectives returns to New York this May—here's what you need to know. This year's New York edition of 1-54 Contemporary African Art Fair is around the corner as it continues to present contemporary art from diverse African perspectives—this time at a new home. "Our fifth anniversary in New York comes at a moment of tremendous change and excitement for the fair," says Touria El Glaoui, 1-54's Founding Director, in a statement. "While we've enjoyed four years of incredible support from Pioneer Works in Brooklyn, the fair's move to the West Village responds to the desires of both our galleries and our visitors and will greatly expand the opportunities for audiences to discover the very best contemporary African art in the heart of Manhattan." Taking place from May 3 to May 5 with a preview day on May 2, 1-54 will mark its fifth edition at Industria in Manhattan's West Village. Twenty-four galleries from Belgium, Côte d'Ivoire, Egypt, Ethiopia, France, Ghana, Kenya, Martinique, Morocco, Nigeria, Portugal, Senegal, South Africa,Turkey, the UK and the US are set to display work from over 65 artists. In keeping with the fair's mission to embrace a diverse and global mix of galleries that are dedicated to supporting and amplifying African artists from around the world, 12 new galleries are joining the fold with five solo exhibitions in tow. OkayAfrica's guide to must-see events happening in South Africa this month. The month of April has a plethora of exciting events for South Africans. From the fashion runway, entrancing spaces of art galleries to the exhilarating arenas of music festivals, this month promises to bring the heat, and in some cases, quite literally. Take a look at 8 cultural events you can't afford to miss below. 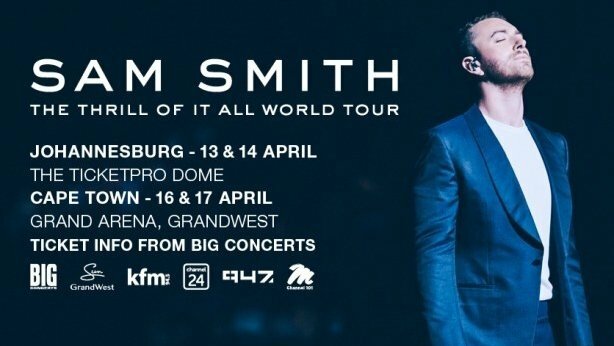 For all the Sam Smith fans, get ready because the multiple Grammy award-winning soul singer is heading to South Africa for a concert that will go down as one for the books. You'll be singing along to hit songs like "Too Good at Goodbyes", "Pray" and other surprise performances that Smith has in store. Concerts will take place in Johannesburg at the Ticketpro Dome on 13th-14th April and in Cape Town at the Grand Arena on 16th-17th April. Purchase tickets here. This exhibition, which was declared a National Cultural Treasure in 1998, will showcase Black South African modernist artists between 1970 and 1990. It will be the largest showcase of South African artists since the country became a democracy. Revered artists such as Gerard Sekoto, George Pemba and Gladys Mgudlandlu. An exploration of life under colonialism and Apartheid and how that plays out in life today. Currently on and will run till 18 April at the Standard Bank Gallery in Johannesburg. The event is open to the public. 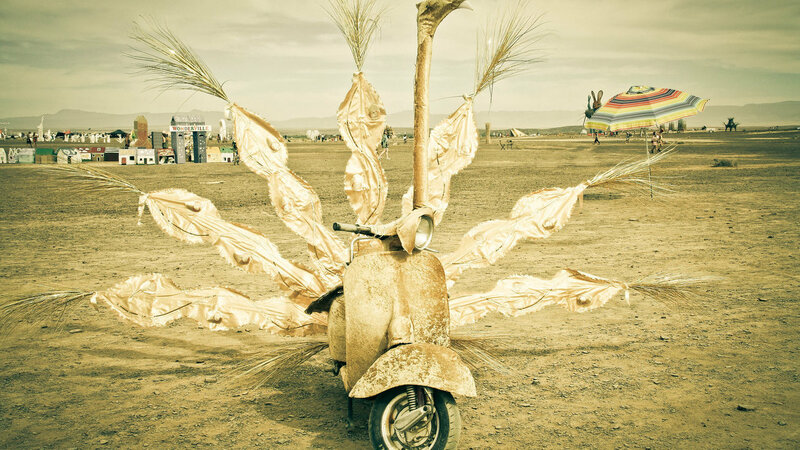 AfrikaBurn is the South African version of the Burning Man festival in the United States. The event, which is in its 12th year, involves the creation of temporary artworks in the Tankwa Karoo—a semi-desert region in South Africa. Nearing the end of AfrikaBurn, some of the artworks are set alight and burned. Described as a freeing and transcendental experience, this one is certainly for the curious among us. The theme of this year's festival is "ephemerality". The event will run from 29th April - 05 May. Tickets can be purchased here. Designers from all over the African continent will be showcasing exciting collections of colorful and cosmopolitan looks on the runway. Fashion lovers will have a chance to mingle with some of the heavyweights in the industry. The event fuses fashion, music, art and photography. The event will run from 9th-13th April in Cape Town at the International Convention Center. Tickets to be purchased here. 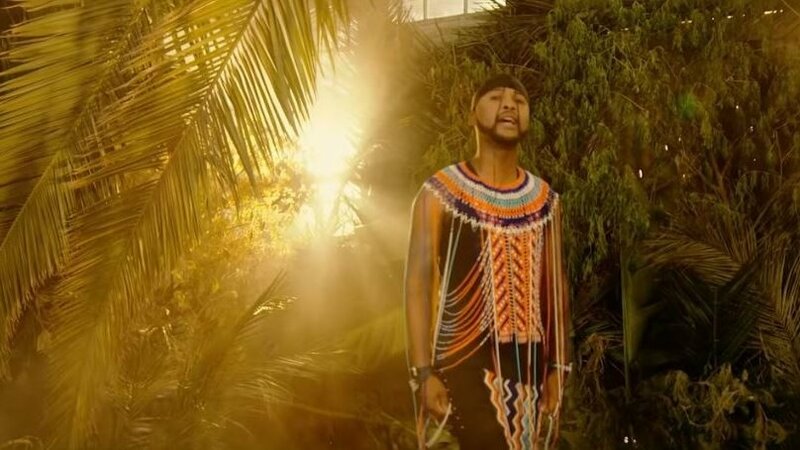 R&B and Afro-soul artist Vusi Nova and Ntsika Ngxanga of the popular acapella trio, The Soil, as well as the Baobab Sisters will be delivering a one-time, unique performance that will take attendees on a musical voyage of self-exploration. The event will run on 12th April at Joburg Theater. Tickets to be purchased here. 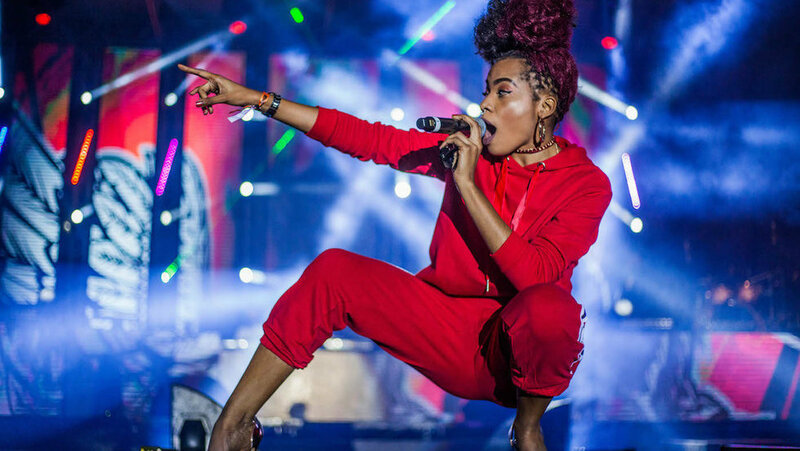 Described as South Africa's biggest hip-hop gathering, Back to the City promises to deliver the hottest lineup of the most talented mainstream and underground hip-hop African and US artists. Joining South African greats Riky Rick, Cassper Nyovest and Stogie T (among numerous others) are US artists Eric Sermon, Parrish Smith and EPMD as part of the lineup. Celebrate Freedom Day with live performances, street fashion, art installations and even skateboarding. The event will happen on 27th April at Mary Fitzgerald Square in Johannesburg. Purchase tickets here. Described as "a story of experience, truth, and of daring to live for a better life", Lagos-born painter Solomon Omogboye will be bringing an exhibition that promises to have viewers introspecting and asking themselves about the relationship they've built with themselves. With a variety of stylistic techniques and modes of expression, Omogboye breathes color and canvas to life. The event will run from 6th April 2019 - 2nd May at Art in the Yard in Cape Town and is open to the public. 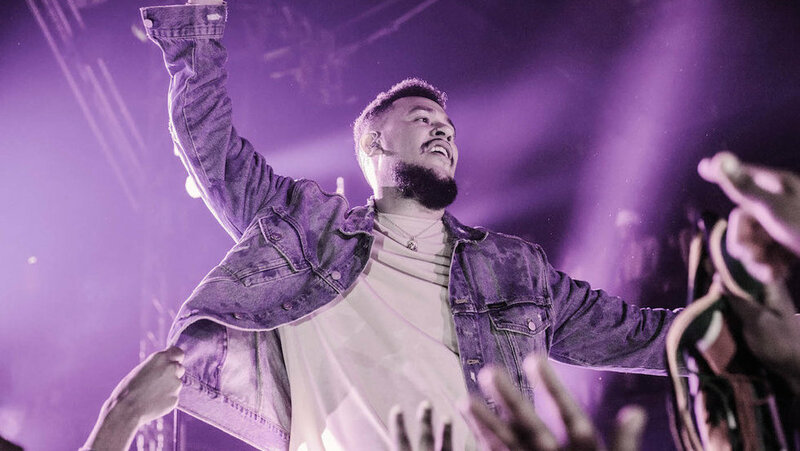 Catch AKA, the Supa Mega, on his three-city tour targeted especially at the youth who he feels make up an important part of his fan-base, "the Megacy". Catch the last leg of the rapper's tour featuring artists such A-Reece who will be joined by Balenciaga Banks and other local artists that will be announced soon. The event will take place on 13th April at the Mall of Africa in Johannesburg. Purchase tickets here. Photo by Liz Gomis and Aurélien Biette. We speak with director Liz Gomis on her documentary series that follows young Africans navigating their respective cities on wheels. Youth culture is a major driving force behind a lot of the social change in African cities that is being amplified by the internet. Whether through music, visual art, performance, sports or fashion, the ideas and passions of the youth are at the heartbeat of a lot of the ingenuity that is engineered to improve lives around the continent. In Africa Riding, a new short documentary series by Liz Gomis and Aurélien Biette, we are invited to observe this heartbeat as it syncs up with the pace of movement in African cities through riding. The documentary takes us on a ride along through the streets and walkways of Kampala, Accra, Kigali and Dakar as skateboarding, roller blading and cycling are slowly evolving the ways in which we conceptualize navigating our constantly expanding urban environments. With each episode running under 8 minutes, the seven-part series profiles various characters who are at the forefront of this evolving culture of riding in cosmopolitan African cities, altering ineffective models of movement, as well as providing avenues of the youth to exercise their angst, one kick-push at the time. Produced in 2018 in Ghana, Rwanda, Senegal and Uganda, the series uses various vignettes of the lives of interesting young people actively encouraging riding culture to magnify the wider scope of communities based projects and initiatives that are positively shaping the lives of the youth in these cities through leisure, exercise and discipline. We meet characters such as Marion Ayebale in Uganda, a 23-year-old cycling champion and bicycle messenger who tows us along her journey in a male dominated sport, pedaling her way to become a coach of the national team as well as earning a living as a messenger and debunking numerous myths about women riding. 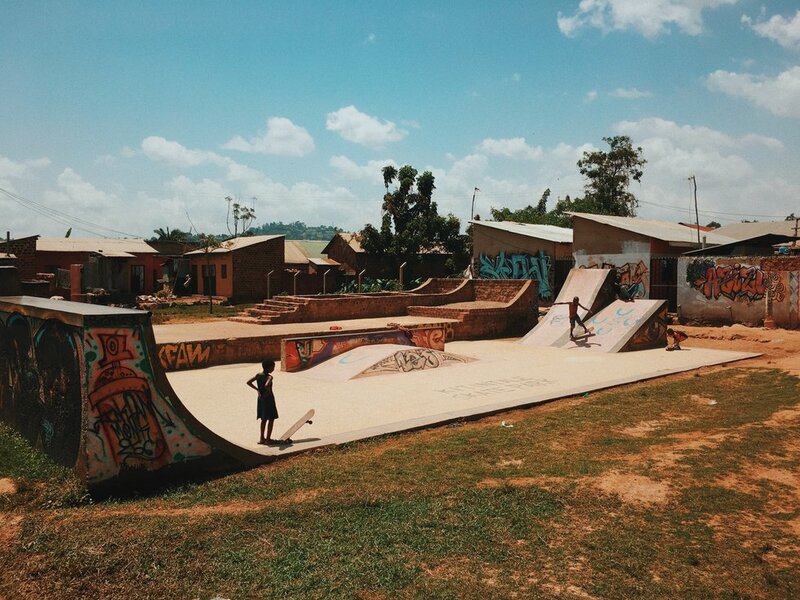 We follow Jackson Mubiru as he provides kids on the streets of Kampala with another options through the skate park in built in 2005 to introduce the sport to his community. The series, which is now streaming for free via Arte TV, a French cultural channel, is a great insight into the contributions of urban youth culture in shaping contemporary African cities in a media landscape that really finds the space to maximize these stories of ingenuity and courage. To learn more about the project and how it can be quite a tasking process to produce such a project that offers a candid cross-section of a positive community based activity, we speak to Gomis—a French/Bissau-Guinean director and journalist to learn more about her attempt to magnify Africa's growing obsession with riding. She might be your favorite internet auntie, but Bose Ogulu is a woman and a professional in full. The series, based on Butler's 1980 novel, will tell the story of "two African immortals who travel the ages from pre-Colonial West Africa to the far, far future." We spend an afternoon with the Nigerian-Dominican twins as they break down all things ibeji energy. The comic book digs deep through the trenches of history and is inspired by Ethiopian Queen Yodit Gudit. We speak with three teams from the Google Podcasts creator program about reaching diverse audiences and breaking through the barriers to entry in the podcasting world.